We’re not going to recount the atrocities that occurred early Sunday morning at the Pulse nightclub in Orlando, Florida. You’ve heard the stories by now as we are four days into the disturbingly predictable cycle of blame and denial that follows these events. Over the last several years, the impotence of words in dealing with these events has become clear. If we want a better society, we need to take action. People are fond of quoting Ghandi, but we need to be more like Ghandi. Incidents like the one in Orlando naturally inspire fear and anger, responding with love requires effort. It’s heroic. That’s why we remember people like Ghandi, Martin Luther King Jr. and Cesar Chavez. So take this opportunity to show your love to your LGBT+ brothers and sisters who created places like Pulse to find communities that were supportive and safe. Much progress has been made over the last year or two in establishing LGBT+ rights, but injustices persist. Let them know they’re safe in your arms. Instead of giving into Islamophobia, tell your Muslim friends you love and support them. Let them know you understand that one gunman does not represent 1.7 billion adherents around the globe. Shield them from hate. Reach out to the Muslim LGBT+ community (it exists). They need your love now more than ever. Understand, that while we experience more mass shootings than we should tolerate, citizens of countries like Syria live under the constant threat of violence from both ISIS and their own government. Consider this when refugees seek shelter in your countries. Greet them with open arms. People fear the unknown. You’re on a college campus. One of the virtues of higher education is an exposure to different viewpoints. Go to an international coffee hour. Attend a YSUnity event. Familiarity doesn’t breed contempt. It engenders understanding. Mental illness often contributes to these episodes, yet we don’t do enough to support those who suffer. Those who do are more often victims of violence than perpetrators of it. Veterans rarely receive the recommended levels of treatment for PTSD. More than a million children attend schools that have police officers standing by, but not mental health counselors. They need your love and support as well as your vigilance. And show that love and support with actions, not just words. Give a hug to somebody who needs one. Donate money to organizations supporting LGBT+, Muslim and mentally-ill individuals, rights and causes. Donate the blood that victims so desperately need. Mentor children who belong to vulnerable populations. Volunteer. Try not to close yourself off, but become more open. Those of us who are unable to cast aside our fear will recognize your love — your strength — and realize that we are capable of loving, too. Above all, resist the urge to respond to terror with hate. Responding with love requires more effort, but it’s also stronger and more effective at mitigating fear. The editorial board that writes editorials consists of the editor-in-chief, the managing editor, the copy editor, and the news editor. These opinion pieces are written separately from news articles. They draw on the opinions of the entire writing staff and do not reflect the opinions of any individual staff member. 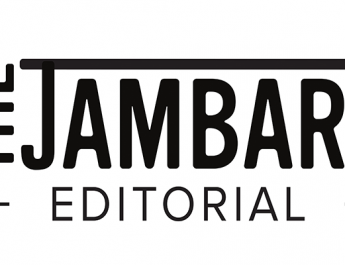 The Jambar’s business manager and non-writing staff do not contribute to editorials, and the adviser does not have final approval.